There comes a time in many a man’s life, often around 7pm on a Monday, when it’s time to take off your Rolex, place it carefully in your Barrington’s single watch winder, forget the time and sit back with a hard earned tipple. This beautiful specimen offers instant glamour with vintage appeal, whether you’re using it alone with a loosened tie, or giving it an airing at parties. With a distressed golden finish, marbled and mirrored shelving and swivel castors, this is how your favourite drink should be served. 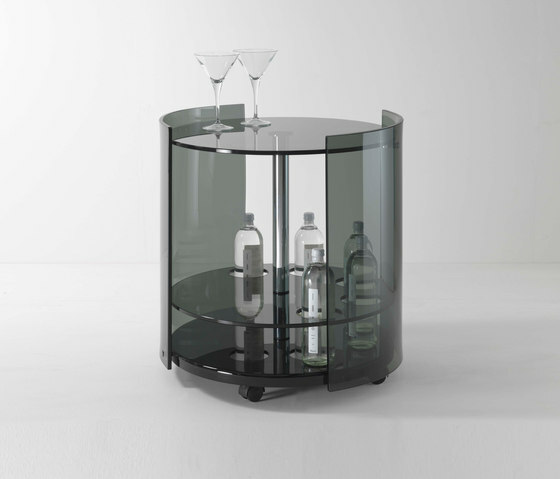 This contemporary, curvy bar trolley in 10mm transparent or smoked glass cuts a suave and modern figure, with room for your very best bottles inside and plenty of preparation space on top. The perfect party piece. 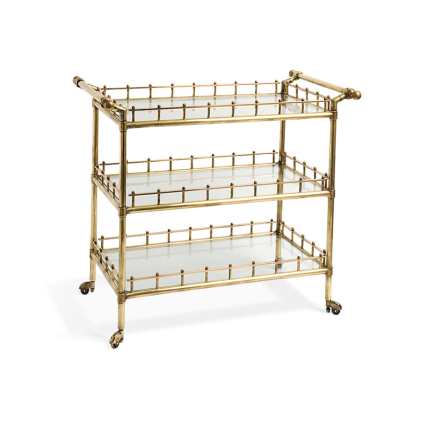 Inspired by 1940’s ballet dancer Rudolph Nureyev’s drinks trolley, this vintage themed piece of brass artistry features realistic hands which hold the kooky, glamorous and entirely charming contraption together. Bottom’s up. Designed by Polish born designer Jorge Zalszupin in Brazil after the end of the Second World War, this gorgeous drinks trolley is rich in features typical of the time: gorgeous local Brazilian woods, modern design, graceful lines and classic detailing with a contemporary twist. Delightful. 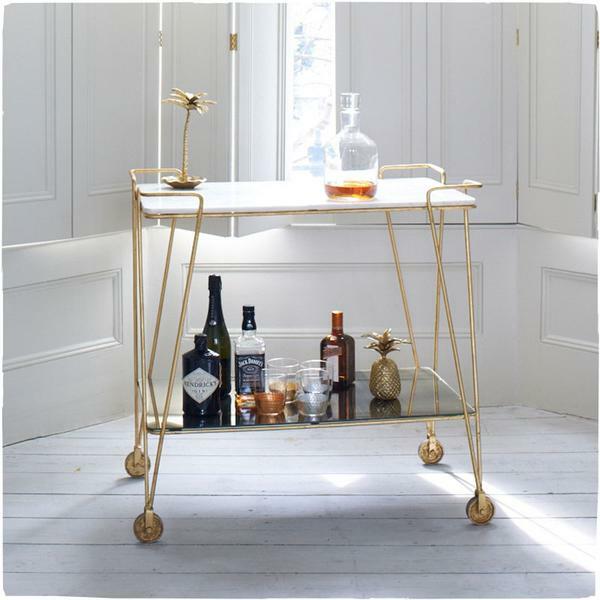 Made from brass and marble, this affordable drinks trolley owes its good looks to a smart combination of creativity and simplicity. 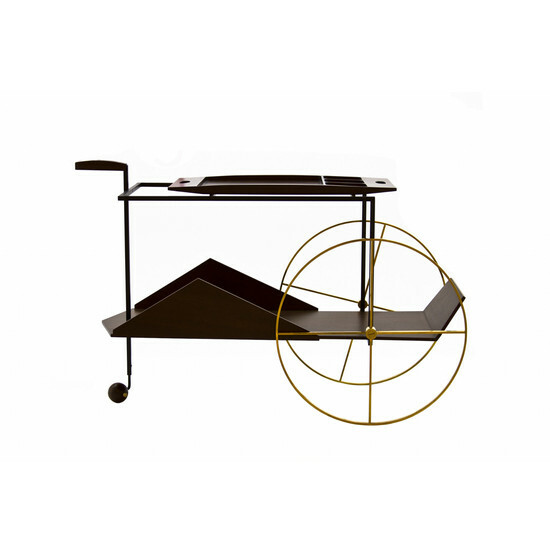 Sturdy but effortlessly light in appearance, this trolley cuts a stylish figure in all contexts. 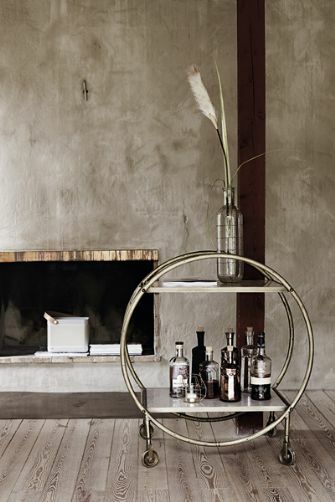 Which is your favourite drinks trolley in our top five? Have your say and share your own picks with other readers below.